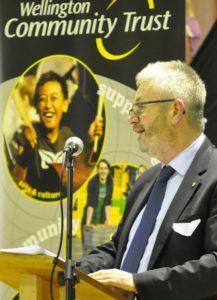 On 6 July over 100 people gathered at the Circus Hub in Newtown to celebrate the successes of the past year and hear about Wellington Community Trust’s (WCT) future plans. More than 50 community groups that received funding from WCT were represented together with investment partners, trustees, suppliers, funding colleagues and others who all help our work to make a positive impact throughout the Wellington region. It has been a successful year, with more funding, good returns and some new initiatives. Our grants rose in value by more than 15% over the previous year and in number by 16%. 130 community groups received General Grants totalling $1,400,867. 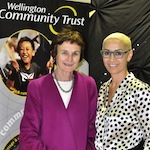 30 community groups received awards from WCT totalling $42,500 in the Wellington Airport Regional Community Awards. The Trust’s equity has risen by 34% over the last 4 years and stands at over $62.5 million. The return on investments was 4.3% net (5.6% gross). Our distribution reserve, which helps us ensure we can continue a consistent level of grants, has grown to $11.1 million – this amount has more than quadrupled over the last 4 years. We had a small surplus of $770,000. the launch of our quarterly e-news – you can sign up from the footer of any page of the website. The meeting also offered the opportunity to thank Jan Dowland, who is retiring as Chair of the Trust and welcome her fellow trustee, Gerardine Clifford-Lidstone to the position. In his speech, Chief Executive Mark Cassidy announced plans for 2016/17 and also outlined the challenges currently facing funders. There is a serious lack of philanthropic funding available in the Wellington region. We do not have large philanthropic trusts here. To put it in perspective while we have 10% of New Zealand’s population we only have 1.2% of the combined capital of the 12 community trusts. To put it another way, we have approximately $145 for every person in our region whilst the average for the country is approximately $850. He noted that this is against a background of falling revenues and tighter accountability. At the same time, we are clearly seeing a reduction in funding in both real and absolute terms driven by lower returns, shrinking gaming and lottery monies and changes to Government contract funding. There are more regulatory requirements and ever-increasing overheads, which are often significantly higher than Consumer Price Index (CPI) movements. The next few years will be challenging times for the sector and the Trust is mindful that the speed of these changes will have a significant impact on fund seekers and funders alike. He concluded on a positive note. We believe that successful initiatives are community led and owned. Although issues may appear to be common, communities are all different and the key to addressing complex long-term, often intergenerational issues, lies with them. A strong philanthropic sector plays a vital role in providing an independent source of funding as well as a voice for the community. I believe that the Trust is well placed to play its role. The Annual Public Meeting was hosted by the Wellington Circus Trust who provided a wonderful welcome. They, together with the New Zealand School of Dance, put on some great entertainment that had the crowd gasping and clapping. 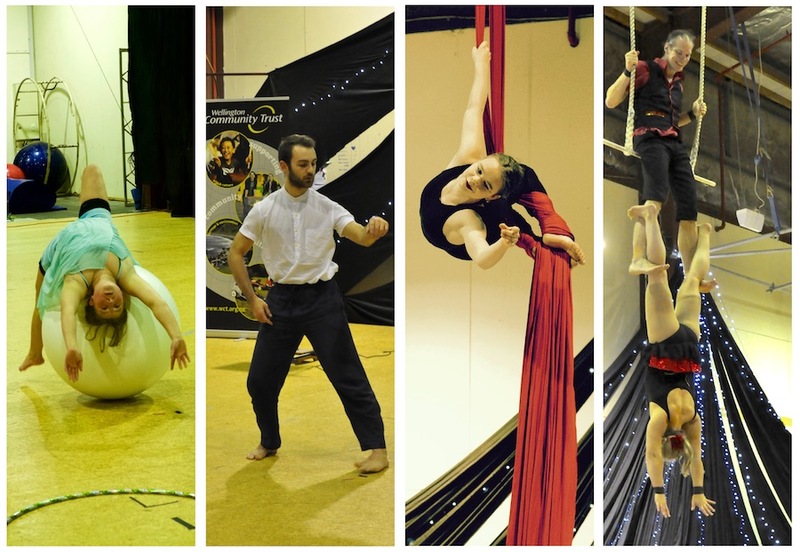 Performers from Wellington Youth Circus and the New Zealand School of Dance provided the entertainment. From left to right: Gaia Smith, Samuel Hall (NZ School of Dance), Laila Smith and The Boomtown Okrabats (Steph Hobbs and Richard Martin). The evening concluded with a chance for everyone to meet the trustees and staff, catch up with old friends and colleagues, and meet new ones.